What about family history? – Multipassionate! This is me with my “cousin” Maggie, telling people about their family history. What a fascinating adventure. Family history can mean different things to different people. To me, the idea includes genealogy, stories, memories, and even participation in events. Scottish and Irish festivals are an example of the latter. Among the hats I wear is the one where I am the state commissioner for Clan Thompson International. In that capacity, I attend Scottish and Celtic festivals all over my state. 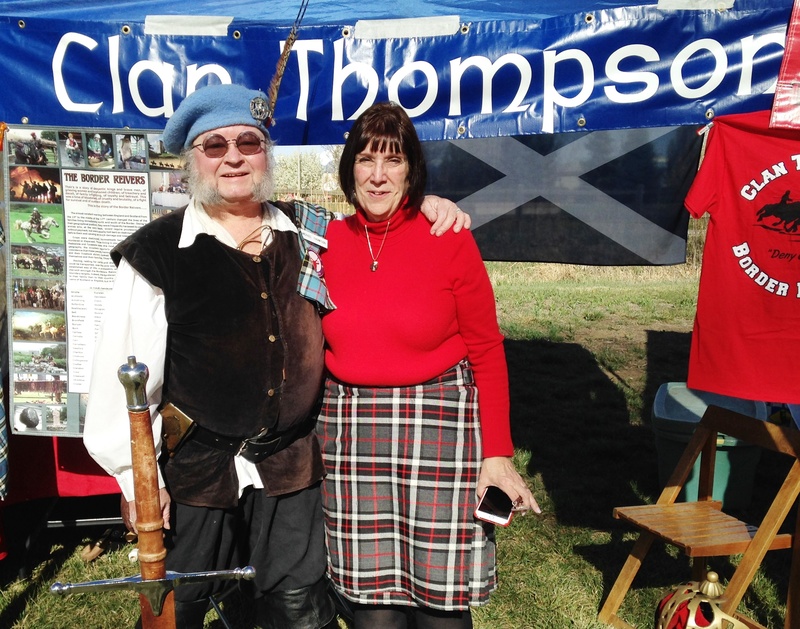 This was exciting news of course, so I went right over and joined with my “real” Scottish family, not only in the parade, but in their booth in the Clan area, and in membership. 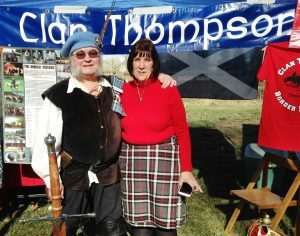 I plunked down my check and signature right there and then to become a member of Clan Thompson. How much have you looked into your family history? It can be a fascinating adventure. I’ve met so many people now who are amazed at what they learn about the history and background of their people. I always tell them, “The best time to start documenting your family history is twenty years ago. The second best time is right now.” What steps will you take to learn about your family and background? Love to hear from you in the comments below. Should every kid go to college? When does it all make sense? Michael on Should every kid go to college? Karen on Should every kid go to college?